On Friday, MoreThanTheCurve.com reported on a new sinkhole that has opened up near the existing sinkhole on the portion of Butler Pike between Germantown Pike and Plymouth/Flourtown Roads. The original sinkhole has resulted in that portion of Butler Pike being closed since August of 2018. It was projected to reopen this month. No estimate of how the new sinkhole will impact the reopening scheduled has been made at this point. We learned of the new sinkhole from a social media post made by Plymouth Council member Karen Bramblett. In her post she mentioned that the new sinkhole is in close proximity to a PECO gas line and railroad tracks. Today we reached out to PECO and Norfolk Southern and asked how, if at all, the new sinkhole was impacting its operations. PECO was made aware of the new sinkhole opening this past Friday. We are in close touch with County officials and are expecting to meet with them soon to assist them in their planning. As there is currently no gas main damage, leakage or immediate threat, there aren’t any further safety measures that PECO can take right now. However, as the County prepares to address the sinkholes over the next couple of weeks, PECO will be on hand to assure that their natural gas equipment remains secure and that the area is safe. Norfolk Southern is aware of the new sinkhole and has had discussions with Montgomery County officials about it. 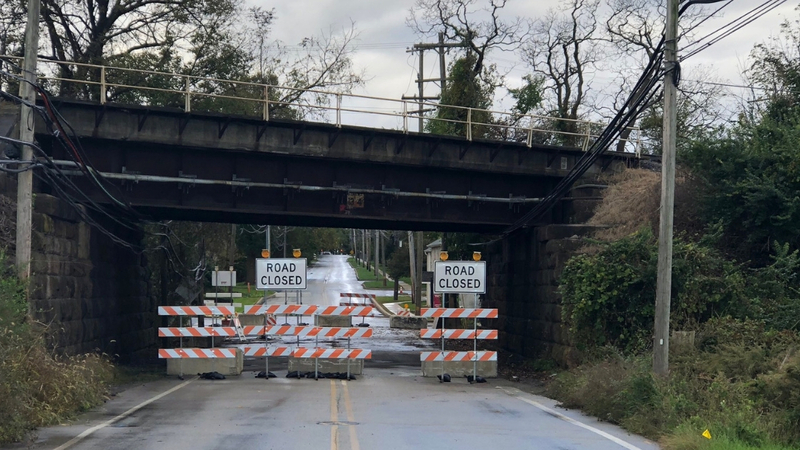 NS personnel in our bridges department have inspected the bridge and bridge abutment and determined that the new sinkhole does not pose a threat to the bridge or to the safety of rail operations. NS will continue monitoring the site to ensure that conditions remain safe for rail operations.